It's minute 76. FC Goa's Hugo Boumous has just come on. Playing a series of quick one-twos, he moves into the box where he takes a slightly heavy touch. Sensing an opening, Mumbai City's Joyneur Lourenco dives in. Just as he's about to nick the ball away, Boumous flicks it over the sprawled, stunned centre back before smacking it at Amrinder Singh. No goal, but that flick was pure magic. 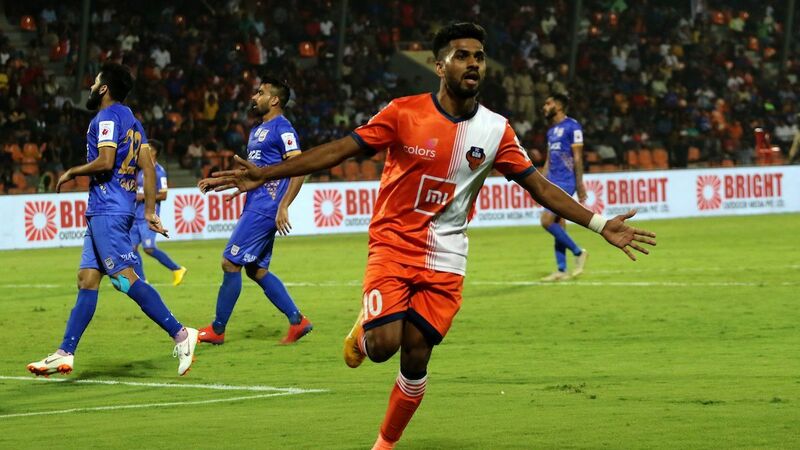 Goa were in the mood as they smashed five past the Mumbai City goal, but if someone had to pick out one moment to tell us the story of the game, it would be that. That one touch. When Hugo Boumous came on and took the mickey out of the Mumbai defence, a lad having fun playing the game he had grown up loving. Boumous and everyone in orange spent large swathes of their semifinal first leg listening to what their coach had to say pre-match. Sergio Lobera had taken to social media to say "let's enjoy and let's make people enjoy too." Enjoy they did. 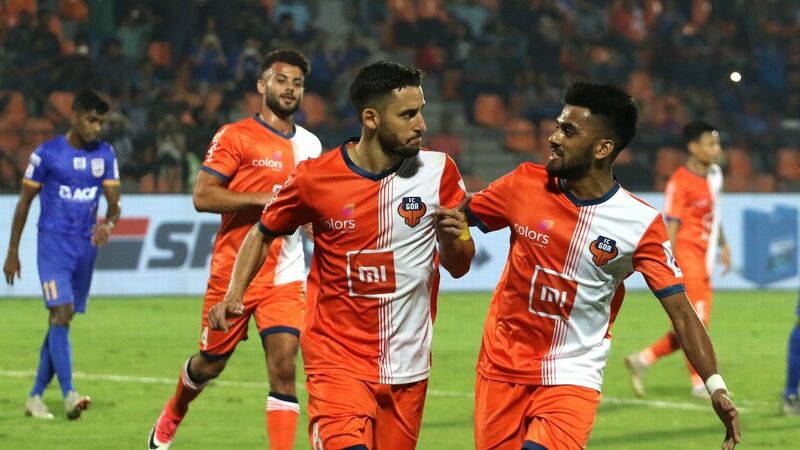 With a 5-1 win, FC Goa laid out a marker for their semifinal and it's safe to say, their potential final opponents. You wouldn't have guessed it from the way the match began, however. Mumbai started with a clear game plan -- press Goa deep into their own half to stop Ahmed Jahouh from dictating play, force the Goan backline into mistakes, get Arnold Issoko to run at Mandar Rao Desai. 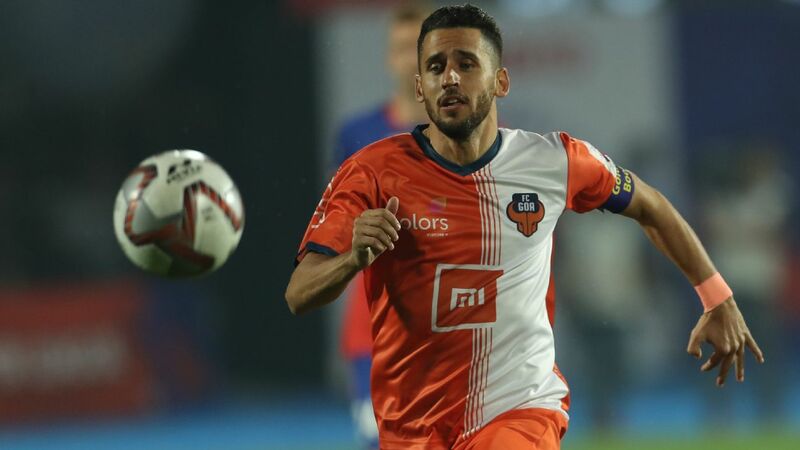 Before the season started, Sergio Lobera had asked Mandar who he wanted to be like, and the Goan had said, "Marcelo." There he was, then, a winger converted to a left-back, and Issoko was turning him inside-out. The first goal of the match came when Issoko screamed past Mandar, trivela-ing a gorgeous cross into the back post. Rafael Bastos met the cross to make it 1-0. 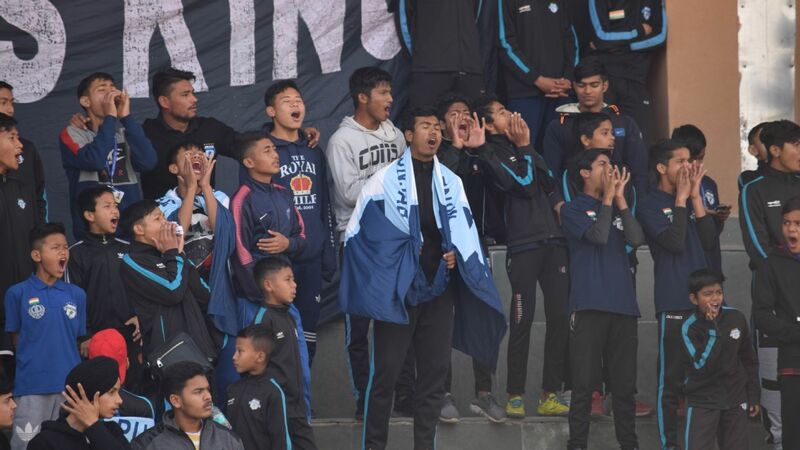 Then, half-an-hour into the first half, an Amrinder Singh mistake -- spilling a long ranger from Ferran Corominas - saw Jackichand Singh seize the rebound. This allowed Goa in, and they never really let go. It was then time for the Mourtada Fall show. He had an immense game at the back, and an even better one in front of goal, scoring two headers from well-worked Brandon Fernandes corners. Fall, 6'5" and 90 odd kilograms of pure muscle, had told ESPN earlier in the season that his greatest strength was his mentality. He wanted to beat everybody in front of him today. In between those two Fall goals, Coro scored. 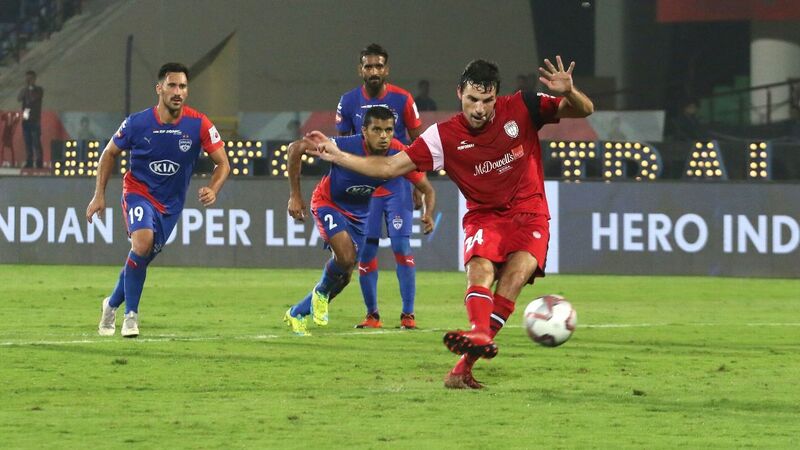 No one in ISL history has more goals than the Spaniard, and his 16th of the season was taken with typical ruthlessness, leaving his markers for dead with his off-the-ball movement and running on to a lovely Jackichand ball to head it into an empty net. And then Hugo's magic made an impact on the scoreline -- running at a furiously backtracking Mumbai defence, slipping in Brandon, who calmly slot past Amrinder into the near corner. 5-1, the biggest win in the playoff stages of the ISL. 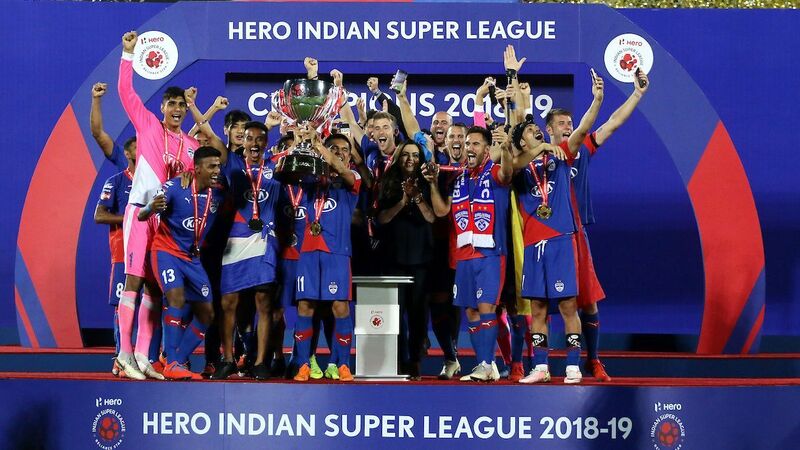 They now move to Goa with the expectation of moving smoothly into the final, and although Brandon made it clear in his post-match interview that the team would keep their heads low, they know there is another 90 minutes of football ahead of them before the final. The men in orange were enjoying themselves, playing the Lobera way and on the account of this devastating display, will take some stopping.